Brad: Welcome to the latest episode of the Catalyst Health and Wellness Coaching Podcast. My name’s Brad Cooper, and I’ll be your host. Today’s episode is in response to a question we get repeatedly from both new and experienced wellness coaches. It’s all about digital marketing. How do you do it? Where do you put your money? Do you have to spend a ton to get started? All those kinds of things, and we brought in a gentleman where this is what he does, he knows this stuff backwards and forward. His name is Jeff. He’s the founding partner of Campfire Digital, a full service digital marketing agency that specializes in helping small businesses with online marketing and web related services. With more than 20 years of experience in marketing and professional media, Jeff directs Campfires work in search engine marketing, digital advertising, social media, and inbound marketing strategies. In addition, he’s a published author and the recipient of multiple awards for magazine feature writing on topics related to small business management. Brad: We will provide his contact information at the end if you’d like to reach out to him with any additional questions, but I’ll tell you I was taking tons of notes with this. He provides an immense amount of information. If you’re trying to figure out digital marketing, you’re going to want to listen to this a couple times through. Just a reminder, you can access additional resources including a transcript of this episode, at CatalystCoachingInstitute.com, and please don’t hesitate to reach out to us with any questions you have about the podcast, your career as a coach, or anything else that’s related to health and wellness coaching. 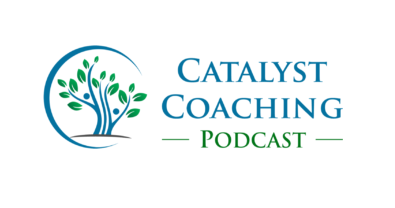 That email address is Results@CatalystCoachingInstitute.com, now on with the latest episode of the Catalyst Health and Wellness Coaching podcast. Brad: Jeff, thanks for joining us today. This is one of the key topics that we get. The questions we get from coaches all the time is about marketing and a big part of that obviously is the social media side of that. So if you could walk us through what are some of the things health and wellness coaches need to know about the use in general of social media? Jeff: Well first, thanks for having me, it’s a privilege to talk to your audience about this. You know, social media is something that I recommend you, first of all, don’t bite off more than you can chew. Like most pursuits in marketing, you really want to focus on where you think you can make a difference. So my recommendation is to go deep in a couple of networks where you feel like you can engage an audience that you understand how that platform works and where you think you can make a difference. Then leave the others alone until you can manage them a little bit better or you grow a bit. Jeff: The other thing you want to do is separate your business and personal profiles. A lot of people start off marketing through their personal profiles, and kind of merge everything together. And that’s fine to some degree, but eventually you’re going to want to make sure you have distinct business and personal setups on your networks that you participate in just to have a little bit more of a professional appearance there. And also, so that, people that you’re communicating with professionally aren’t seeing your post about your friends new baby or latest cat video or whatever it might be that isn’t relevant to them. Another big one keep social, social. It is social media. It really isn’t a platform where you want to be sell, sell, sell all the time. Think about engaging your audience, conversing with people, building relationships. The same of things that you would do one on one in normal human interactions. You’re just doing it through a social media platform. Jeff: So do keep it social first and then secondary to that, once you’ve earned the trust of your audience, with being able to engage them, then you can start thinking about maybe, every now and then, slipping in an offer or a sales pitch. And the last thing I would suggest that’s specific to the overall social media thing is that it’s probably a good idea to allocate a budget to promote your posts and perhaps do some social advertising. The way these social networks work these days, it’s a pay to play system, especially if you’re a business. This is how they make money. They charge businesses like you to advertise and use their platform. So without doing that to some degree, even if it’s small, your reach is going to be really limited and you’re just going to sort of be spinning your wheels creating content and posts that aren’t viewed widely. Brad: Okay. Gang, I guess we got a full hours worth of information in the first question from him. Goodstart man. So is SEO and an online presence, now remember, generally we’re talking about independent wellness coaches, they’re doing their own thing. Maybe they just started a month ago and we’ll keep taking a deeper dive into this, but they’ve been out there a month or a couple of years, three years maybe. Is it even something they should consider doing on their own initially when they can’t afford bringing on a firm like yours? Jeff: Yes, initially. I think in today’s business world, everyone should have an online presence. It’s, it’s kind of a baseline. But with that in mind, understand your limitations. If you’re a coach, if you’re a wellness expert, you’re not an SEO, you’re not a web development professional, you’re not a social media marketing professional, nor should you be. Those are whole other levels of expertise. Recognize where you can positively impact your online presence and where you need help. Know what you don’t know and focus on what you do best and outsource the rest. Brad: Yeah, that’s excellent. And it’s consistent with what the coaches are hearing all the time about whether it’s nutrition or disease management or health care in some way we do certain things well and other things are outside of our scope of practice. You could almost talk about this as being frankly, outside of your scope of practice. So a lot of terms in the whole social media arena, can you just give us kind of a one on one class or something and talk through things like pay per click and search engine optimization or inbound marketing, social media marketing, all these different terms that coaches maybe are seeing or hearing about or if they are trying to work with the firm things they should be asking about, just so they have a baseline knowledge of those things. Jeff: Sure, a lot of these different terms floating around can be a little confusing and some of them tend to actually overlap each other. So it’s helpful to understand where one begins more, another ends. SEO, search engine optimization, we’ll start with that. That’s the practice of getting your website to rank organically for certain key terms or search queries. And when we say organically, it’s a little bit of a weird term when you’re talking about digital marketing, but that means someone’s searching for something on Google or other search engines, you want them to find your site for that term. So the SEO is a variety of different practices that go into helping that view to see how can that happen. Jeff: Pay per click or PPC is digital advertising essentially. And what you’re doing is paying for people to click on add. So it’s paying per click. It’s a broad term, there’s a lot of different varieties in digital advertising, but that’s one of the most popular ones. It’s how most Google ads work, it’s how a lot of social ads work. Where basically, you have an ad out there promoting a product or service. Someone sees it, they click on it, you get charged for that. And basically charge for them to visit your website or your landing page that you created. Search engine marketing is basically the combination of SEO, search engine optimization and pay per click, so it’s taking that organic search piece and then adding a paid element to it. And then some of the other things that go into essentially helping your website be found more readily through both paid ways and organic search. Jeff: Inbound marketing describes another range of marketing practices that attempts to draw people to you through content and information that you’re putting out. So inbound marketing principles are less about advertising, more about providing something of value, whether it’s free tools, articles, case studies, interesting blog posts, information and insight and expertise that you’re giving away for free to draw people to you. Saying here, I’m going to trade you my knowledge in exchange for you coming to my website and poking around a little bit. That’s sort of the basic principle behind inbound marketing and a lot of other things go into that. Like social media, engaging people on social media, email, I mentioned blog posts, things like that. Jeff: And then social media marketing is really just the principle of using social media as a marketing tool, both posting and engaging and conversing with your audience, like we talked a little about before. As well as doing some advertising and promotion through those channels. I think those are probably the principal things you’re most likely to hear. There’s a few other sort of secondary terms that float around content marketing, things like that. They all kind of play together, but that’s the main stuff right there. Brad: Okay. Excellent. So misconceptions we’re rookies at this, maybe a coach has done a little bit, but just dipping their toe in the water. Are there certain misconceptions about these areas? Things like SEO or social media that maybe we thought we knew that isn’t actually accurate? Jeff: Absolutely. I spent a lot of my time explaining my way through misconceptions, but the first one is probably that SEO is not magic. There’s no sort of SEO search engine optimization wand that we wave over a website and suddenly it starts ranking highly and getting tons of traffic and all this. Search engine optimization is a longterm process, it’s an investment, it takes time to do it. And maybe what a lot of people don’t understand is that it’s a competition. So even if you are a well optimized site. You’ve hit all the best practices you’ve done the things you should do, it doesn’t mean that you’re just suddenly magically going to get all this traffic to your website. And maybe these are sort of low search volume terms that you’re going after, or what you’re selling is a specialty product that not alot of people are searching for. It takes time for these practices to take effect. Jeff: But then, as I mentioned, it’s also a competition. So SEO means doing it better than the next guy. It means that if one of your competitors is producing a piece of content, you produce a piece of content that’s more in depth, more informational, more interesting to your audience. Same goes with your advertising, your other pursuits. It’s all relative. So even if you’ve checked all the boxes and done some SEO on your site, it doesn’t mean that you’re going to start getting the traffic you want, unless you are providing something that’s of more value, that’s better than what your competitors are doing because that’s how it’s seen. It’s a ranking system. You look at a google search page, it’s a ranking system, right? You’ve got your top result on down and so you want to appear higher up, and continually move up that ladder. And so that’s what a lot of people don’t really understand about it. They think maybe you can just do some things and then the traffic will come. But it’s a continual process and you’ve got to be constantly gauging how you are competing with other people out there. Brad: Okay. We touched on this before, but I want to come back to it because I think it’s probably top of mind for everybody. You run a digital marketing company, so all this stuff for you is second nature. You’ve been doing it for years, you’ve got it dialed in. If a coach can’t afford to hire at this point, a firm to help them or have a professional to help others. What would be your recommendations to help build their business out of the gate and if there are recommendations, what else would you throw out there in addition to what you’ve mentioned before? Jeff: Yeah, I think at minimum a good professional website and a web presence, are worthwhile and they’re helpful. You can create a website with some free tools, wix, squarespace, things like that. You could get a wordpress website, fairly affordably through a professional web developer. It’s worth having some presence, even if it’s a limited site that just shows you’re a professional and this is where you can find information, you’re on the Internet. From there, there are a lot of free tools that you can use and it really depends on how much time you want to dedicate to learning these tools, learning these practices and what the return on investment looks like for you versus spending that time increasing your coaching skills and other elements of your practice. WordPress is a common system used to build websites or manage content on websites. It’s called a content management system and there’s a lot of free tools like yoast seo, all in one seo, that provides some guidance. There are tutorials and some intuitive elements to those that you can sort of do a little bit of your own SEO if you want to dive into that. Jeff: We recommend blogging regularly, keeping some content going. The search engines love to see your site being constantly updated, it shows that it’s not getting dusty, that it’s fresh and the content is relevant. Emailing your audience regularly, keep it informational, sort of E News style format and inform your audience and engage them instead of just sale, sale, sale all the time. And then maintaining a social presence again if social media isn’t your thing, that’s fine. Just kind of keep the lights on, make sure that people may want to contact you through the different social channels that you’re on. Make sure you’re responding to things, engaging people, posting interesting articles or insights. Showing people that you are available and responsive. And if you want to take a step up, there’s a lot of free resources through tools like Yoast I mentioned earlier, Moz is an SEO platform that provides a lot of tutorials and whiteboard videos. Hubspot produces a ton of free content that you can read and learn some of these topics. It really depends on how much you want to dive in and how much time you dedicate this. As with everything you have to decide whether you wanna spend your time becoming a marketing expert or focus that on your coaching. Brad: Yeah. Good advice. I like the phrase at least keep the lights on buddy. You mentioned a few different resources. Since folks are listening to this, just to make sure that they know how to find them. You said Yoast, Moz, Hubspot. Jeff: Yeah Hubspot.com. They are a huge digital marketing platform. Their end goal is to sell you on their software, but they provide a ton of content and free resources you can use. Brad: So kind of following your advice there. Okay. So let’s talk budgets. Let’s just say we have a coach out there saying, well, let’s hit three different levels of I can invest 100 bucks a month on this. I can invest 500 bucks a month and then I can invest a thousand bucks a month. If you were looking at those ballpark budgets, could you give them some guidance on if you’re just barely doing it with 100, I’d do this. If you had a little bit more of 500, I’d do this and if you could go to a thousand dollars a month, I’d do this. Any just tips or things for them to consider what those three types of levels of budgets? Jeff: Yeah. I think with a hundred, if you want to start off there, I’d put that in some social ads and boosted posts. When I say boosted posts you produce a post and then you spend a little bit of money to expand the reach of that post to send it to an audience that wouldn’t normally see it. Facebook makes this pretty easy, pretty intuitive at the basic level. Twitter has this as well. Linkedin has it’s own platform. Instagram is through the facebook platform since they’re owned by them. But that’d be a good one hundred dollars a month will allow you to get your message out to a larger audience then what would normally see it organically. So that’s where I’d put that. Jeff: For that $500 a month, I think you could probably either do a basic SEO package with a firm like ours that does sort of the real basics. Making sure some of the boxes are checked and you’re not doing anything that’s hurting your search visibility, maintaining the site, website security and maintenance, that’s kind of thing that would go into a $500 package, that might buy you some digital marketing consultation. If you’re more of a do it yourselfer, but you just need some guidance you could, for 500 bucks a month, you could get some help from a professional who could walk you through things and also help with some of the technical details as well. Jeff: If you’re stepping up to a thousand. I would say either take a portion of that and add it to that basic SEO and use that as digital advertising. Step up your advertising spend. You could dip your toe in Google ads, you can spend more on social media ads, get a little more direct promotion. Or for that budget you could get a full service SEO package from a lot of companies where they’re gonna go a little bit more in depth, a little bit more hands on, monthly maintenance, dealing with a whole host of technical issues as well as some of the strategic side of things, could even do some link building strategies and some more advanced stuff as well. Or you may even be able to get sort of an entry level, digital marketing campaign with a little bit of professional content, social media marketing. For us at least, that’s sort of like a real entry level. Digital marketing work begins around a thousand bucks a month at our basic small business packages. Brad: Super helpful I think that gives people things to look for or ask for that kind of thing. Nice to have some options even at that hundred dollar a month level. So expectations, and I’m sure coaches are used to answering this with their clients about, hey, if I hire you as a wellness coach, what can I expect? What are my results going to be? And in some ways as I’m thinking about this question, the answer’s probably similar too. The wellness coach can’t say, you’re going to hit one, two, three, guarantee, going to have a for sure. And SEO, digital marketing, there’s some learning curve. There’s some let’s see what happens. Every industry’s different. But are there some general expectations, some reasonable expectations that coaches can have at those different levels. Just any tips on how they can measure it, how they can look back on it six months in and say, okay, that was a waste or okay, we’re on the right track, we’re heading the right direction. Just any ideas for them to measure this in some practical way to get their arms around the ROI piece. Jeff: Sure, and a lot of this as in coaching, the answer’s going to be to some degree, it depends. It depends on what you put into it and depends on what your goals are. But if you’re looking at that basic level or maybe a hundred bucks a month, you’re spending some of that on social media advertising, I think you can expect to reach a larger audience, increase your exposure to a larger group of people. I would sort of consider this a preliminary growth strategy. Basically, you have a message, you need more people to see it. You need more people to engage with you. You can start driving that through at that hundred dollars a month level. Jeff: $500 a month, this would help you button up some of the common SEO errors and problems that we commonly see negatively affecting your website. We talked a lot about search visibility. That’s basically the visibility of your website to search engines, to those web crawlers. And there are a lot of just really common mistakes or things that people are trying to do themselves or websites weren’t built quite right, that are essentially blocking web crawlers from searching them properly, indexing them, and returning them in search results. So with 500 bucks a month you’re going to kind of clear that away. Make sure your site’s more accessible. Over time you can start seeing your rankings improve, start seeing things showing up higher for key terms, and start generating more traffic to your site for what you want. Jeff: At that higher level, if you’re putting all of that thousand bucks a month a into an advanced SEO plan, you should start seeing web traffic increases, more notable ranking improvements for key search terms, start seeing your digital footprint expand. Jeff: If you’re using some of that for digital ads, you can start at that rate, seeing some lead generation and audience building, especially if you’re a locally oriented business, you’re targeting a specific geographic area. You can at that budget level, depending on how you allocate your money, you can start building a pipeline of leads, the digital marketing that you can begin to track and engage over time. It’s a numbers game. It’s advertising. So, you gotta look at the percentage of the people that are viewing the ads and clicking on them then contacting you and kind of figure out your math from there. But at that level, you should start seeing that lead funnel begin to fill up a bit. Jeff: In terms of a measurement, there are a host of tools out there, paid and unpaid. At the most basic level, you can start with what’s offered for free through the social channels. If you’re advertising on any social media channel they have built in a insights and analytics. So you can look at how many people saw this particular post that you boosted, how many people clicked on it, how many people engaged with it, how many people shared it. If you get a little bit more advanced and you have tracking codes and things like that installed, you can even see like what the conversion rates for people looking at a piece of content that you’re promoting. Things like that and that really helps you get a sense of what’s resonating with your audience, what kind of things you should do more of, what kind of things you should skip moving forward. Jeff: And then there are a whole bunch of analytics tools. The big one that’s free for everybody is Google analytics. If you have a website, you can install google analytics for free. That gives you a lot of insights on where your traffic’s coming from. Is it coming from social media? Is it coming from paid ads? Is it coming from organic search? And that will help you sort of gauge how your efforts are doing. Are they falling flat completely? Are you wasting your money on this or are you starting to get some traction there? And maybe you need to invest a little bit more time and effort in those areas. Brad: So you brought up something that I hadn’t even thought of before, but it may be really helpful for the coaches. You mentioned the local versus the national approach. Most of our coaches, some would want to go more broadly into a region or a couple of regions, but any thoughts off the top of your head about how best to approach the local piece, if that’s their emphasis of not necessarily their neighborhood, but maybe their town or their city or something like that, that they could fine tune this and get a better return on their investment if that’s their focus? Jeff: Yeah. So first you probably want to update your local listings and your local search footprint, your google My Business Profile, it’s a good place to start there. If you have a physical location particularly, that’s important, that Google listing that shows up with your address, directions to your business, a map, reviews, contact information, all that stuff. It’s so important to go in there, claim it, make sure it’s updated. Then the next step is there’s a bunch of different, what we call local listings or web listing services, that are their own listing services, yellowpages.com and Yahoo.com and Bing, and all these other ones that aggregate these different listings. You can manage those individually by going into these, signing into these accounts, creating accounts, claiming them and updating the information, just making sure it’s correct. That they have the right address, phone number, things like that. Jeff: You can also use some software. I mentioned Moz earlier. They have a local product. Yext is a company. It costs a little bit more but it has a lot more higher end and more intricate capabilities there to manage these things. But it’s worth looking at and making sure that your listings are out there correct. Because people do a search and they can find you in a variety of different ways and you want to make sure that your information out there is accurate. And then in terms of outreach, if you’re running social ads, we’ve talked about a little bit Google ads, any sort of digital advertising you can Geo Target that to pretty specific areas can be a congressional district. It can be a zip code, it could be in a metro area. You could do within a certain number of miles of a city center. So if you have an area that you’re really focusing on, and you want to own that space, all of these platforms provide you an ability to show your ads only to people in those spaces so you can really dial down on that local audience. Brad: Perfect. Thank you. So let’s talk about scams. One of the big things we try to hit over and over in this podcast in a variety of ways, whether it’s addressing ridiculous wellness headlines that sometimes we get drawn into as coaches or education programs that are sold with wonderful videos, but they’re really not all that helpful to coaches. When it comes to digital marketing, are there certain scams are hoaxes, type things they should be aware of that they’d just be throwing their money in the toilet if they went that route? Jeff: Yeah, unfortunately. And there’s a lot of shady practitioners in this field just like a lot of fields and you kinda gotta use common sense. The basic advice is if it sounds too good to be true, it probably is. And you know, I’d start with anyone who promises you a top ranking on google. If you get an email from a company saying that guarantee they’re going to get your website number one on Google or even top 10 page one listing. Just walk away. I mean they’re either selling snake oil or they have some practice where they’re going to get you ranked for some sort of irrelevant terms that just don’t make any sense for your business. It’s just, you cannot guarantee that. So if someone is, walk away. Jeff: We get these all the time as well. Emails telling you that your website’s broken or your website isn’t ranking in search. These are just basically prospecting emails. We get them from firms all over the world. Basically this alarmist idea that something’s not working, your site’s down, it’s not being indexed properly. They try to use some technical jargon and make it seem like the backend of your site is a disaster and no one can find it. That’s another scam. They’re just trying to get their foot in the door and sell you some practice that probably won’t work. So I would avoid guarantees and this alarmist kind of approach. Brad: Love it, I was chuckling because I think I get three of those a day. So let’s flip the coin a little bit. As consumers, so the coaches are out there and they’re looking for different products for themselves or different services for themselves or different partners to work or whatever it might be. Are there other tricks out there in the online world that maybe they could be aware of when they’re searching? Things that organizations are using that make or at least are trying to make their company look better than it actually is in the SEO World? It just seems like there’s so many options out there. Can you help us cut through some of the Bologna in these things? So this isn’t for digital marketing for the coaches. This is more allowing the coaches to see through the artificial digital marketing that their potential partners or educators or service providers might be doing. Jeff: Yeah. And that’s sort of the double edge sword of the web world, right? Any business can make itself look bigger than it is if they have a really nice web presence. You know, if you’ve got a good looking website, you spent some time on social media, you can put all these pieces together, you can make yourself appear legitimate. And unfortunately there are companies that aren’t that legitimate that do that and try to scam people. With that in mind the first thing I’ll do is say, look under the hood of any company that you’re considering. Do your research, look at their social properties. Are there real posts from real people on their accounts or is it just a bunch of junk or what looks like automated kind of stuff on there? If they’re commenting, engaging their audience, it looks like real people are running the show behind the scenes there. That’s a good sign. There’s real people at that and they care. Jeff: Do they answer the phone when you call or do they have some way to contact a real human being? I mean, it’s an automated world. There’s chat bots, there’s form submissions. So many things that people do to automate their marketing and their outreach. But marketing companies should have someone that either can call you back or respond to an email or some sort of personal interaction, human to human interaction as an option to show that they’re not just a scam property that’s halfway around the world. Speaking of halfway around the world are they located where they say they are. You see a lot of companies set up fake addresses, particularly in the US to make it seem like they’re a domestic company, but they’re really just disguising that they’re an offshore company 5,000 miles away from where they say they’re supposed to be. Jeff: There’s nothing wrong with using companies from other countries. Some of them are great, but if they’re trying to deceive you and make you think that they’re located in Omaha, Nebraska, but they’re really in the Philippines, that’s a red flag. Again, we touched on this before, are their promises for results? If they’re promising you something, in marketing in general, guaranteeing it, that is really hard to deliver on that without using nefarious means sometimes. Not that you can’t reach your goals, but absolute guarantees, there’s so many variables out there that most legitimate firms, reputable firms are going to shy away from that. Jeff: There’s also companies that that’ll tie their fees to a percentage of your profits or your new sales. That can be a red flag as well because the way they account for that and the way they track those metrics may be a little bit sketchy. The other thing I’d look out for is do they claim to have some technology or some process that nobody else has, outsmarts these major systems like Google or Facebook? If so, run because what they’re selling is probably either fake or illegal. Brad: Love it. I saw something the other day on supplements and basically the headline was if it works, it’s not legal and if it’s legal it probably doesn’t work. So basically avoid supplements. So good stuff. I’m taking notes here. This is excellent. What are some of the biggest mistakes you see business owners making? If you can target as coaches, great, but just generally speaking, small business owners, what are the mistakes you see them making when trying to manage their own presence online and digital marketing and those different pieces? Jeff: Yeah. Coaches, small business owners in general. I think mistake number one is trying to take on too much. Committing to saying, I’m going to blog once a week and and post everyday on social media, run Google ads and run social media ads. It gets overwhelming in a hurry and you get inconsistent and your audience will notice. Our recommendation is to start small and be consistent. Do what you can imagine. Step up incrementally from there. It’s probably very similar to a lot of advice that the coaches give their clients about attainable goals. The next thing will be trying to be something or someone you’re not. If you’re not an instagram superstar or twitter person, don’t try to be. Use the platform that you’re comfortable with. Use what fits you and your businesses personality. Same thing as if you’re not comfortable updating your website or messing around the world of SEO, don’t. Spend that time and energy finding a partner that can help you at an affordable rate as opposed to getting in there and maybe tinkering with things that might do more harm than good and sort of in the same way as trying to take on too much, spreading yourself too thin. As we’ve mentioned before, pick one or two platforms and go deep. Don’t try to be all things to all people. Recognize where your limitations are and where you can specialize. Brad: I think you’ve been spying on me because I’ve done every single one of those mistakes. Nice summary, my friend. Okay, so you mentioned real human beings earlier. Let’s, if you don’t mind, let’s take a closer look into Jeff. We love to let the coaches and future coaches kind of hear from our guests on the wellness piece. So digital marketing’s off the table for a minute. Is there a health and wellness pursuit that you’re going after right now? And it can be anything, any nutrition, exercise, sleep, relationships, life balance, whatever that you’re working on. And can you just give us a brief overview of how that’s going and where you’re struggling and maybe a couple of your successes with it? Jeff: Yeah. I’ve always taken a holistic view of health and wellness as I do with marketing. You know, it’s the whole process. I’ve never been one for fad diets or quick fixes, but over time, especially in last few years, I’ve really been focusing on nutrition in the sense of more whole foods, less processed, less packaged items, been trying to limit sugar. We don’t have any soda or sugary drinks in our house at all or anything like that, but we do ask them sweet tooths and we try to watch that. And then in concert with that, sort of shifting up my exercise routine, with more cardio and whole body exercise oriented things like swimming and cardio work. Jeff: It’s going pretty well. I can’t point to any one particular thing that has been life changing. But some of these things have yielded some pretty good results. I’ve always been a pretty fit person, but last year at my physical I lost 10 pounds from the year before and my cholesterol went down 40 points. So I took that as a huge positive and you know, my doctor was asking me what I did differently and I was like, you know, I can’t really point to one thing. I think it’s just the sum of all of these things. So continuing to work on that and I’m trying to get better with that. And then the other thing is, something you and I talked about just recently was getting better sleep. I’m a night owl by nature. I kinda love those late night hours when the rest of the house is asleep and I can catch up on my binge watching of terrible TV and zone out for a bit. And then the next thing I know it’s insanely late and I’m overtired and everything. So that’s a lifelong challenge for me is getting myself to bed and making sure I get that adequate sleep. I can, especially as I get older, I can feel it. I can feel the difference that makes. So that’s a challenge that I need to work on. Brad: Thank you sir. I appreciate you pulling the curtain back for us a little bit there and congratulations on the years improvements. That’s awesome. I love it when we go into our docs and you have that kind of improvement, our clients go in and like, well what have you done? Well, I just like live smarter. Is that a thing? That is a thing. So final words of wisdom for our listeners, any advice as you think about current wellness coaches? People that are thinking about it just in terms of what they’re doing with their online marketing or thought process or planning ahead? Any final thoughts that you’d like to throw out to them? Jeff: Yeah, you know, I think I would leave one final thought which is basically remember that digital marketing is just marketing using new digital tools and online resources. These are the same fundamental principles people have been using to promote their businesses for ever and so keep that in mind. Don’t get intimidated by the technology. Don’t get intimidated by the fast paced changing nature of this field. Stick to the fundamentals, authentic connections with your clients, a genuine and helpful content, responsiveness, good communication. You do all that and you’ll be in good shape. Brad: Jeff, this was so helpful. I’m positive we are going to have folks listening to this over and over and taking notes and thinking, oh wait, okay, now I need to go back and listen to that. It’s been six months. What improvements do I need to make? So thanks for laying it out. Thanks for making it understandable. Oftentimes for me, it feels like a foreign language. Thank you for interpreting it for us and really appreciate it. And gang, I will be right back to wrap this thing up. Brad: So many good tips in there and things I wish I would have known 10 years ago. If you’re wanting to reach out to Jeff with any followup questions, you can reach him on his website at CampFireDigital.com on twitter @CampfireDigital in an email, Jeff@CampFireDigital.com. A couple of highlights I pulled out and multiple scribbles on my page here. The first one, it was don’t get overwhelmed early. And I thought when he mentioned this, I just went, wow. Wish I would’ve known that. The tendency with this digital marketing is to jump in big time, and especially those of us that that’s what we do in life. That’s probably a lot of you who got into this because you’re willing to really get after it and go all in and it’s easy to start doing that, but there are so many options. Brad: In no time you’re overwhelmed and you commit to, Oh, I’m going to do a blog post every week and I’m going to do social media every day, and you turnaround and you’re either not doing it or you’re not doing anything else. It’s taking all your time. So I thought his comment about start with something that you know you can bite off that will fit into your schedule and then if that works, you can build on that and I thought, wow, such a good tip. So keep that in mind. One of the things he mentioned about going deep in a couple of specific areas rather than trying to do everything. Another great tip. And then building off of that, he was responding to a different question, but it fits into that same category, this whole concept of local versus national. If you’re a wellness coach and your target audience is right there in your town or your city or your state or your region, you might be able to save a lot of money by targeting that advertising for that audience rather than trying to go nationwide and spending a lot of money on people that may never reach out to you. Brad: So anyway, a few tips there. One huge announcement, and I’ve mentioned it before, so this isn’t new, but you can now access it. The retreat, the Health and Wellness Coaching Retreat in Estes Park Colorado. It is a official. It is September of 2019. We are so excited about this. We were able to keep the cost way down because your room and board is probably half of what you’d normally pay at a big time conference with the fancy hotels and all that and you still earn CEUs and you still get to get away and kind of refresh and rejuvenate and you get to meet with other coaches. I mean this thing is going to be all time. We are so excited about this. We spent some time last week dialing in some of the coursework and the schedule and how we’re going to build in the some of the relaxation time but still get you plenty of CEUs. Brad: So anyway, that website is CatalystCoachingInstitute.com/retreat. If you have any questions, feel free to reach out. There is a pretty massive early registration discount. This is the first year we’ve done this so we want to make sure that we can get some early momentum by giving you a benefit in doing that. So check that out. We are going to cap registration, so don’t wait too long even if you’re not taking advantage of that early registration. Brad: As I always say, we love hearing from you, whether it’s a retreat or podcasts things, ideas for future ones, questions about your career, wondering, does this really fit with me? Can I kind of talk this through with somebody? That’s what we’re here for. That’s what we do. So feel free to reach out to us. Obviously the website is CatalystCoachingInstitute.com. The email is Results@CatalystCoachingInstitute.com. Brad: Thanks for spreading the word, again it continues to grow. That’s you. And we appreciate everything you’re doing. If you’re considering the wellness coach certification, we do have one coming up a few weeks after this thing’s going to go live, so feel free to reach out on that one. And then obviously we do several of these a year. So, there’s always the next one you can jump into if you miss that one. Until next time, let’s all keep working towards what we love to call here #BetterThanYesterday, both for ourselves and our clients. Make it a great day and I’ll look forward to speaking with you soon. On the next episode of the Catalyst Health and Wellness Coaching Podcast.